I want to hug and coo over these dolls. So you can see why they can go for a lot of money on auction sites. 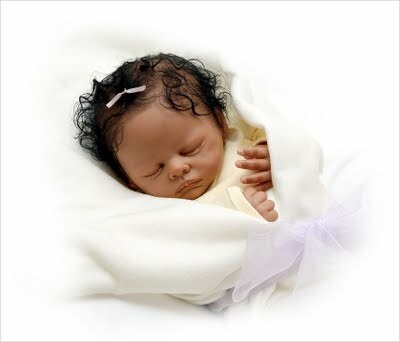 That said, there are a lot of dolls on eBay that just don’t seem to capture what reborn dolls are supposed to be. In the constructive criticism of the Cake Wrecks blog, I want to offer a few words of advice to doll painters. My words for this one are, “No. No. No.” What were we going for? Demon child perhaps? 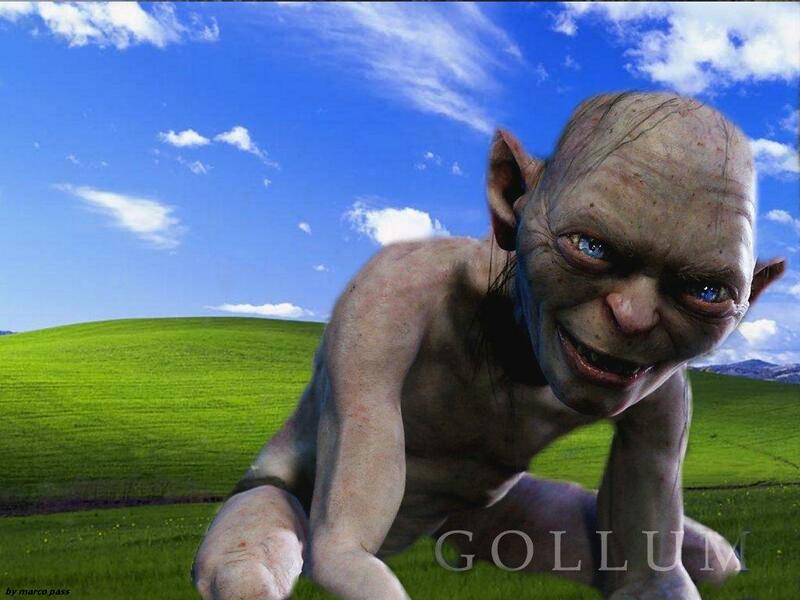 Gollum’s offspring? 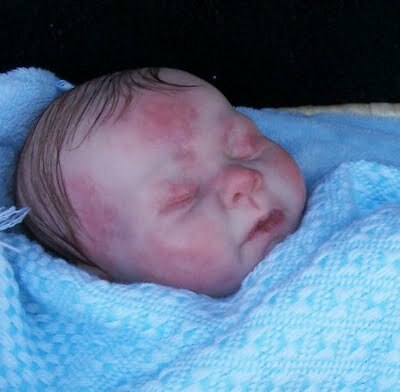 Another word of advice: Blush is nice, but if you use too much of it, people will look at your doll and want to call child protective services. Yeah, that would be too much of the red stuff. 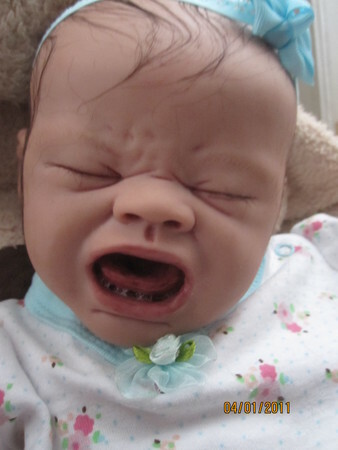 There seems to be a new trend to have baby dolls open-mouthed and crying. This is another place where the words, “No. No. No.” come to mind. And here’s one for every parent who wants their child to grow up to be a circus clown. Or an elf. Oh, one last word of advice to doll makers: Lips are not optional. Your doll really should have them. I mean, blankets can only hide so much. 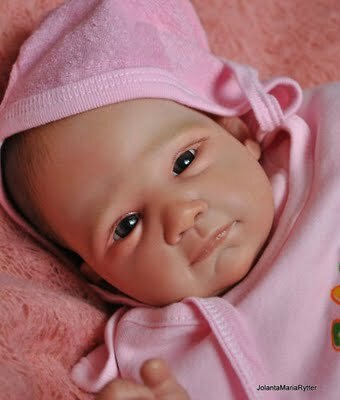 Well, I bet at this point you’re all thinking how beautiful your children are, because they look nothing like these last dolls. So true. Really, reborn dolls offer society a valuable service. That first one specifically is going to give me nightmares…I don’t see how anyone could have those in their home. This was an introduction into a creepy side of society that I was blissfully unaware of. And the ugly dolls are even creepier. The first couple were adorable, but then EEK! Do people really buy those? As always, YOU CRACK ME UP, Janette!!! Oh my HECK! The bad ones very often don’t sell–although, this isn’t the case for the even more hideous reborn monkeys. For some reason that I can’t fathom, (rich people have no taste?) those seem to sell pretty well. 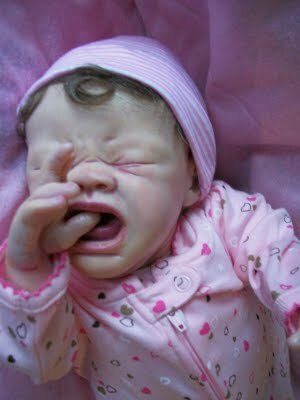 I see a dedicated “Doll Wrecks” blog in your future. You know, in all your spare time. This post makes me glad my daughters have decided to dote their motherliness on stuffed animals. I feel really sad for the designers of those dolls if that’s what the babies in their lives look like. Yes, it does make you wonder where they got their models from, and why they wanted to reproduce those looks. My grandma collects dolls too. 🙂 She has a whole room filled with just dolls. When I was little, she would always give dolls for Christmas. 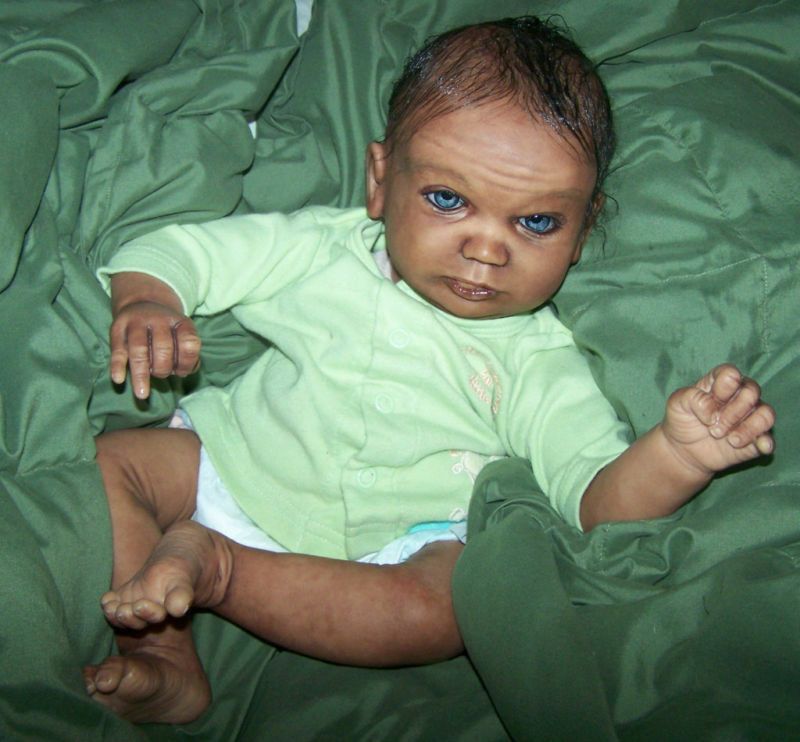 I’ve always loved dolls, but some of these are really scary. 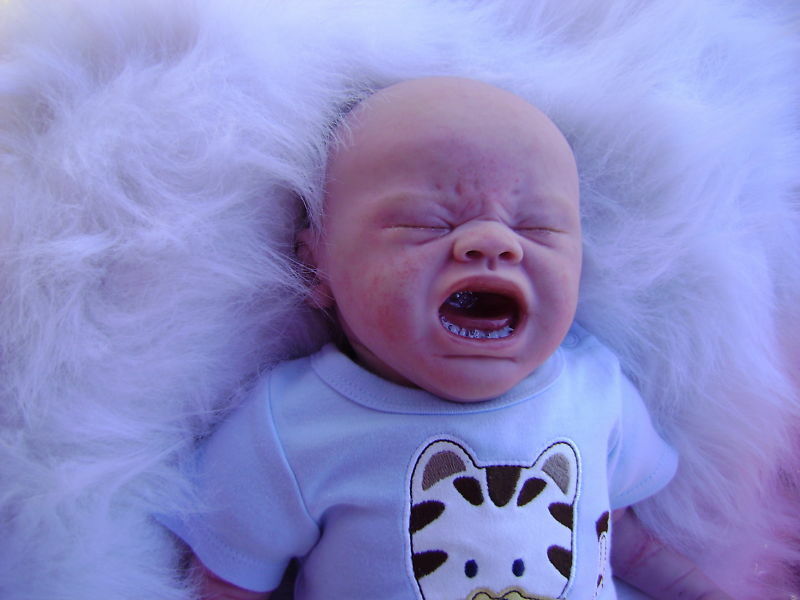 Then again… I have seen some really ugly babies. Those are some creepy babies! I just finished ‘My Unfair Godmother’, and It was great! If I had a pathetic-O-Meter, it would be pretty high. I talk to myself, and inanimate objects. However, I do not like (most) rap music, don’t like low-rise jeans, and don’t like ‘bad boys’. I thought Chrissy did a much better this time. Poor Savanah had her at her worst, but Tansy got it (a little) better! 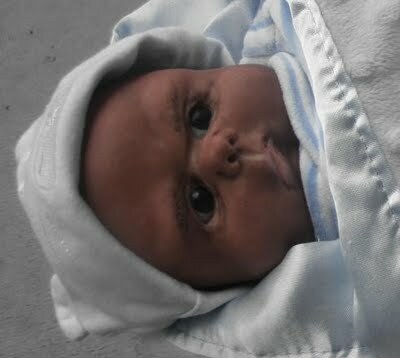 I loved baby Stetson! You should make a third one, since you said you had three covers! However, I can’t think of anything using the word ‘fair’ in it…I guess that’s why you are the author!